Comfortable boots with saw protection. 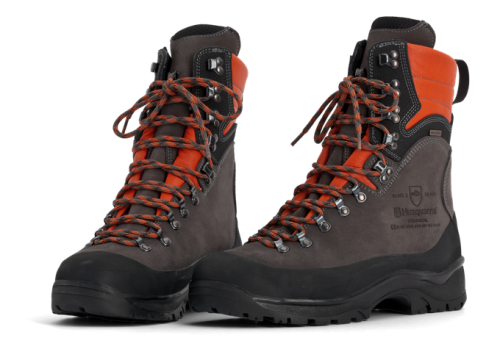 These Technical Protective Leather Boots from Husqvarna have been redesigned with a new heel construction, a more stable upper part with softer insides and a new sole offering better grip in the cold. They are made of Sympatex, which gives 100 percent waterproofing and breathable qualities, with extra padding around the ankle, heel and top, plus a steel toe cap. The lower boot is also reinforced with rubber for extra protection. Conforms to Class 2 Saw Protection.